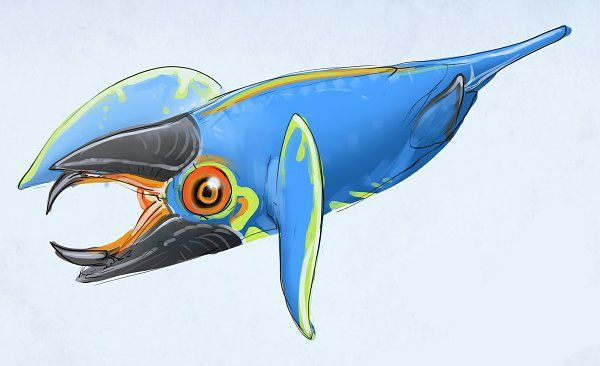 So as some of you may know Alex Ries is now working on Subnautica and has done a bunch of concept art, and we’ve been fortunate enough to see some of it. So far we have a peeper like thingamadoodle, an arctic reefback, and a creature called a pinnicarid (whose name is surprisingly significant, I’ll discuss it later) and of course we know we’re getting the Glow Whale and possibly Rockpunchers. Now, I’m gonna analyze each creature in turn and make a few theories on what role they’ll play in the basically confirmed Artic Biome. Firstly, we have the Peeper-like creature, who we know literally nothing about: Looking at this creature we can CLEARLY see it is a predator of some type. It’s smooth and streamlined, and doesn’t have much in the way of skin detail. Looking at it I’m estimating it’s about the size of a sandshark, or possibly a boneshark. I’m guessing it’ll be like a leopard seal and will prey on the penguin creatures, and of course, the player. I’m not sure if it will be able to come onto land like leopard seals, as it doesn’t look very fit for walking. However, it’s pectoral fins are placed similarly to those of mudskippers, who can move on land with ease (I should know because I have one as a pet) so it may be able to crawl about on land and chase players across ice floes. In the water it’ll be fast, dangerous, and something you should definitely be worried about when going for a swim. Speaking of ice floes, here’s the Arctic Reefback: These guys aren’t totally new, but they’re still quite fascinating. The sail-like structure on their back is highly reminiscent of a by-the-wind sailor, so I’m guessing these reefbacks get around primarily by drifting. They look smaller, as well. 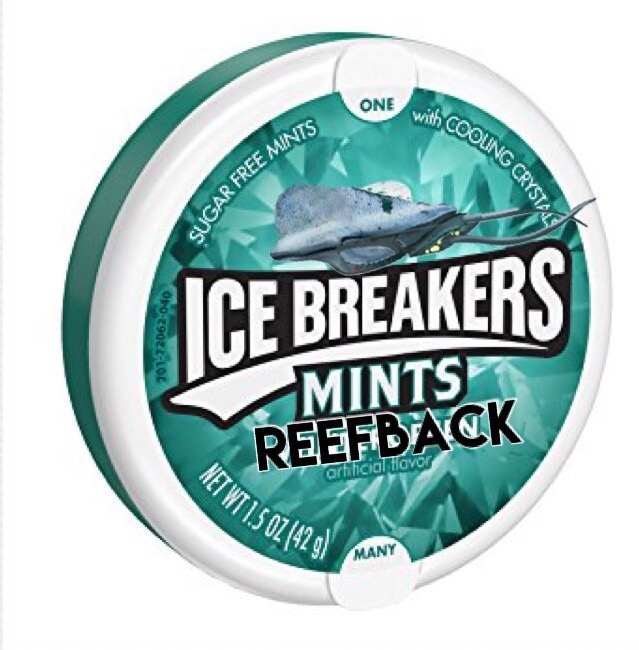 Unless the space penguins we see on its back are actually huge, it’ll likely be smaller than normal reefbacks, unless the devs decide to make it bigger. Finally, we have the Pinnicarid: These guys are most interesting to me simply because of their name. Pinnicarid, when translated from Latin, means something along the lines of “Finned Shrimp” Now, what is so important about this name? Well, unless the devs just wanted to give the creature a scientific and rather obvious name, Pinnicarid is likely derived from Pinniped and Anomalocarid. Pinnipeds are seals and their relatives, and they’re why I’m so interested in the Pinnicarid. If the pinni part of its name was indeed derived from pinnipeds, it means that Pinnicarids will probably spend a good deal of their time on land, possibly in groups. This theory is very far-fetched however, so don’t take it too seriously. It’s hard to tell what their temperament will be, but I’m betting they’ll be either neutral, or they are aggressive and pacified by feeding them fish, like stalkers. Their tail is reminiscent of a thresher shark, so they may hunt in packs and use their tails to stun prey. 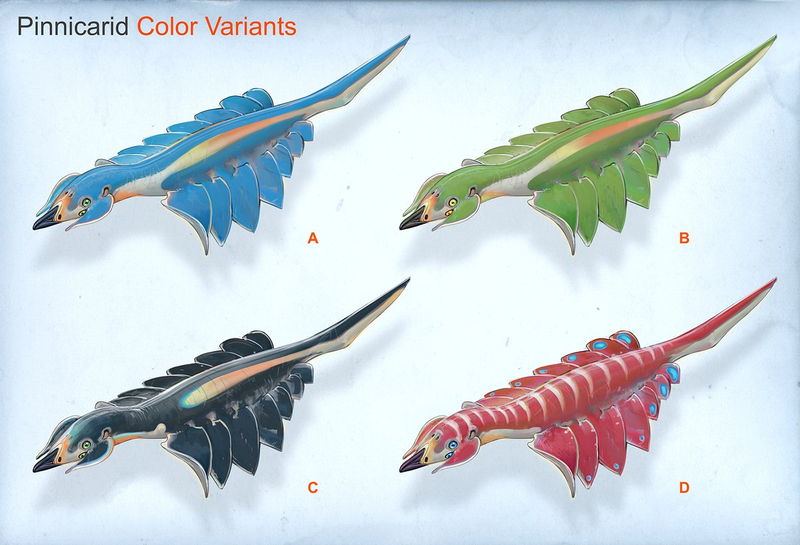 Oh, and they’ve got four possible color schemes, like Crimson Rays. I’m betting we’ll only see one in-game, and I’m hoping it’s color scheme C.
I almost certainly got something wrong, but who cares, making theories is fun. Feel free to discuss your own theories and opinions on these creatures, and I’ll update this thread whenever a new creature is teased. See you in the Arctic biome! From what I gather, the Glow Whale, a reworked version of the Rock Puncher and some sort of penguin creature are also going to be added to the zone. They already have placeholders for testing and have been spoiled on Trello. The only thing that puzzles me is how live survived the Kharaa Bacteria so far away from the Research Facility. 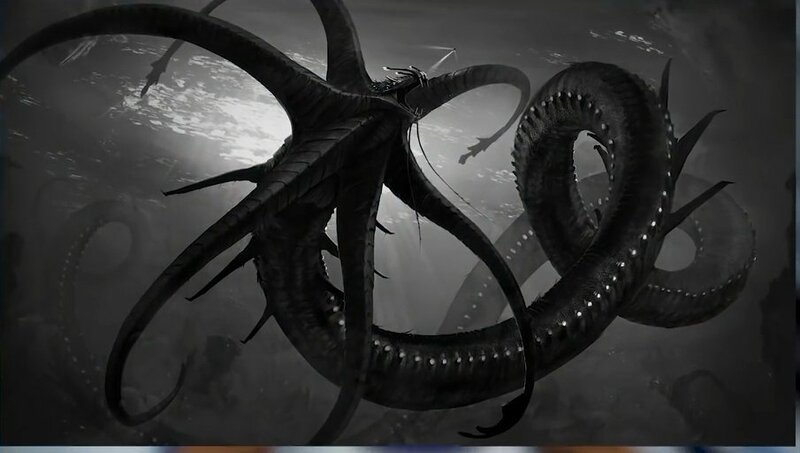 Without the Sea Emperor Leviathan and it's enzymes, or the Peepers to help spread it through the ecosystem the rest of the planet should have been devoid of animal life. There's a pretty good chance that the Arctic biome is simply too cold for the bacterium to properly survive and infect enough creatures to be a significant threat to life. I'd like to speculated about the sail-like structure on the arctic reefback. Given that we know their shells are so dense they're difficult to scan, I'm going to say that it isn't a sail, but rather an icebreaker. You never find reefbacks in deep water, so it may be that they need to stay close to the surface for some reason. If they're under the ice and need to not be under the ice, a heavy bone structure like that could help them break through. That’s a very interesting theory! If I remember correctly, bowhead whales use their oddly shaped heads to break through the surface of the ice to breathe, so the structure being used as an icebreaker isn’t that far-fetched. 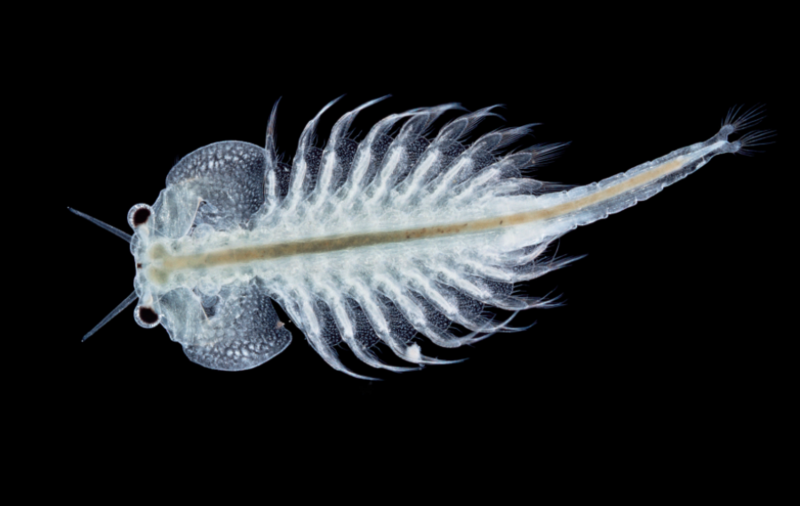 The Pinnicarid does indeed look a lot like Anomalocaris, but it also reminds me of the common brine shrimp, which most people know as "sea monkeys". The top one is probably inspired by Sea Angels (Gymnosomata) mixed with a cuttlefish! Huh, never noticed the resemblance to brine shrimp. Neat! Also, we’ve got concept art of the alien penguin! 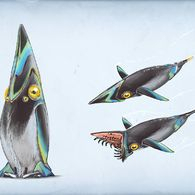 I THINK that due to it’s striking similarity to concept creature 1, they are both concepts for the alien penguin, and we’ll only see one in-game, most likely this one here. I do prefer this one. The Arctic biome creatures shouldn't be brightly coloured unless they're white. That is why I hate the green and red versions of the Pinnicarid, but love the black one. Just want to say thanks to the creators for being an awesome team to which had produce one of the best ocean games. I'm just here scouting the released info. Yes, and I'll add them to the updated version when I stop being lazy. That is fanart. Where the hell did you hear it's a confirmed feature? It doesn't even have the subnautica label the older ones had. It's not confirmed. It's fanart. I tried to tell 'em, but they didn't listen to me. Yeah, you’re gonna have to give me a source. Mind you, a source from the DEVS. It seems a bit off from the standard Subnautica style. Who was it confirmed by? Well, Anthomnia has a tendency to clickbait stretch the truth. Even going so far as to confirm things that have never happened. Or the fact that Anthomina makes a video on something, that has been in game for months, and he treats it as new. Like he had awhile video over the fact that the seamoth works in space. And he keeps saying that it's a theory that subnautica and natrual selection takes place in the same universe. I understand that theory can mean fact sometimes, but because most of his fans are little kids they probably don't know theory can mean fact and instead they just think it is possible it takes place in the same universe. I hate tiny critters. Except spiders, cause they eat other tiny critters.